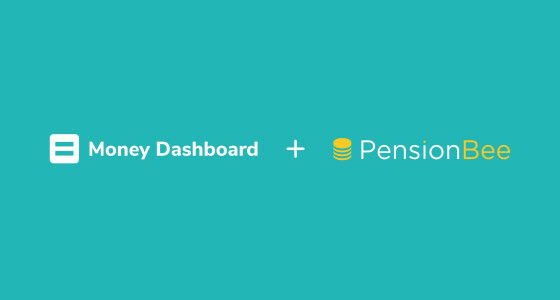 PensionBee customers are now able to see their live pension balance within the Money Dashboard app, signalling yet another big step forward for UK pension savers. Money Dashboard, the UK’s leading personal finance app and winner of the 2018 British Banking Awards, is giving existing users the ability to see their live PensionBee pension balance alongside all their other financial balances. This exciting new integration embeds pensions even further into the Open Banking ecosystem, driving up consumer expectation that their real-time pension balance always belongs alongside all their other real-time balances. “What a pleasure to kick off Financial Capability Week 2018 with exciting news of the PensionBee - Money Dashboard integration! Bringing together short- and long-term finances as part of Open Banking is an important step towards driving up financial capability skills for life and starting to tackle the UK’s long-term savings crisis. Money Dashboard already does a fantastic job of putting their users in control of their day to day finances. Today we are taking this to the next level, by empowering people to use the smarter financial choices they’ve developed as a result of using Money Dashboard and applying them to a build long-term view of their finances, with PensionBee. “The integration with PensionBee is a fantastic development for us, but the real winners in this are PensionBee and Money Dashboard’s users. “Our mission is to help people from every walk of life be happier and more successful by putting them in control of their finances. With Money Dashboard, you can use our budgeting and planning tools to get in control of your day to day finances and then start planning for your future. Pensions are a key part of long-term financial planning & it’s really exciting to begin a journey enabling people to see them along with their day to day spending and saving habits. Launched in 2010, Money Dashboard is established as the UK’s leading personal finance app, serving over 175,000 users, and has won the 2018 British Bank award for best personal finance app. The award-winning app gives consumers the TrueView® of their financial position by: (1) consolidating all their current accounts, credit cards, and savings accounts from over 60 financial institutions, and (2) allocating each bank transaction into a distinct expenditure category, thereby automatically organising an individual’s finances for them. The company generates revenue by creating insightful market research from anonymised bank statement data, for example by helping hedge funds predict revenue announcements of listed companies. Money Dashboard has raised over £10 million in equity financing to date and was selected in the first cohort of the London Stock Exchange’s ELITE programme in 2014. Money Dashboard founded the influential trade association fdata that lobbies on behalf of its members for the adoption of Open Banking standards worldwide. Money Dashboard is available on web and for Android and Apple devices.